Welcome to the Ocean Breeze East vacation rentals! This ocean front condo complex offers two and three bedroom units all with a view of the emerald green waters of the Gulf of Mexico. When you stay in Ocean Breeze East condominiums you can expect to enjoy all of the amenities and necessities that come equipped with these luxurious rental properties. Known as the “Lost Island”, Perdido Key offers a sense of seclusion to your Gulf Coast vacation while still being just a short drive from some of the larger cities and towns. You will love your stay at Ocean Breeze East. There are several nice golf courses in the area and endless activities like boating and kayak rentals. After a long day at the beach come back and take a dip in the Ocean front pool to cool off. The area has plenty of delicious restaurants such as Lillian’s Pizza, The Shrimp Basket and Crab Trap. 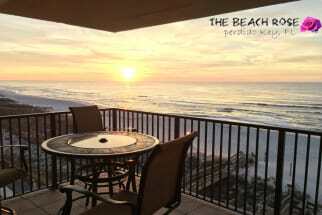 Book your next vacation to Ocean Breeze East with Emerald Coast By Owner. Our property owners will gladly help you plan your stay, send them a message directly by clicking on the "Email Owner" button found on each listing. ECBYO does not charge any service fees when you book with us, so book online today and save! We hope you enjoy your trip to the Emerald Coast.